This gorgeous guard gated community is part of Rancho Santa Margarita and its located in the eastern side as part of the area known as Trabuco Canyon. All of the Rancho Cielo homes are single family residences and the main streets for the community are Rancho Cielo and Camino del Cielo, with the two tracts being Brighton Summit and Brighton Glen. Many of the homes here are lucky enough to have beautiful views of the Saddleback Valley and they belong to the Saddleback Valley School District. The 245 homes enjoy, besides the privacy of the neighborhood, the amenities that come with it as a private pool and spa, tennis, volleyball and basketball courts and a tot lot. Search all Rancho Cielo homes currently available for sale listed in the MLS. Read more for information about the Rancho Cielo Real Estate options available. 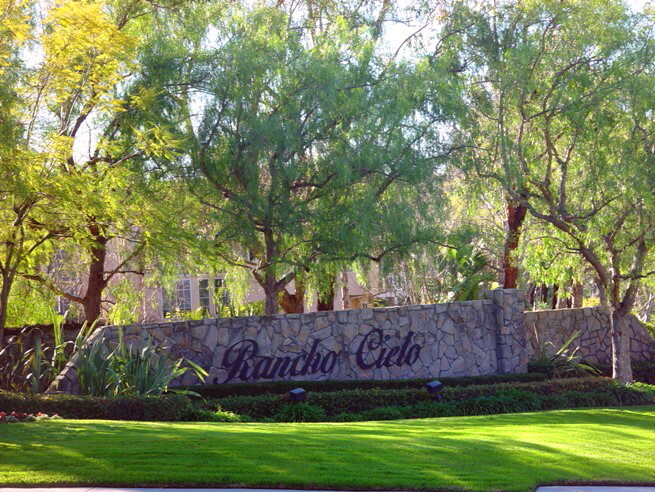 The Rancho Cielo real estate portfolio is made of 245 single family homes, that are located in this private medium sized neighborhood of Rancho Santa Margarita, with great views of the area and close proximity to all amenities, plus the ones in the neighborhood as pool and spa, volleyball, tennis and basketball courts and a picnic area. Rancho Cielo is also within walking distance to renowned Robinson Ranch Elementary. Rancho Cielo may be overlook due to its size, but for those looking for the tranquility of a private neighborhood, with no through traffic in, this might be the answer. OCExecutives specializes in real estate transactions of Rancho Cielo in Rancho Santa Margarita, California real estate for sale. Contact us today to sell real estate or buy real estate in the Rancho Cielo community. For more information about any of these Rancho Cielo Homes, please contact us. Or if you would like to see a list of other communities follow the links above, or click here for other Rancho Santa Margarita Homes for sale.